I have great news. Today I got confirmation that our venue for the next Cloud Mechanix class has been confirmed. So on December 3-4, I will be teaching my Cloud Mechanix “Starting Azure Infrastructure” class in Frankfurt, Germany. Registration Link. This HANDS-ON theory + practical course is intended for IT professionals and developers that wish to start working with or improve their knowledge of Azure virtual machines. The course starts at the very beginning, explaining what Azure is (and isn’t), administrative concepts, and then works through the fundamentals of virtual machines before looking at more advanced topics such as security, high availability, storage engineering, backup, disaster recovery, management/alerting, and automation. Aidan has been teaching and assisting Microsoft partners in Ireland about Microsoft Azure since 2014. Over this time he has learned what customers are doing in Azure, and how they best get results. Combined with his own learning, and membership of the Microsoft Valuable Professional (MVP) program for Microsoft Azure, Aidan has a great deal of knowledge to share. We deliberately keep the class small (maximum of 20) to allow for a more intimate environment where attendees can feel free to interact and ask questions. This course spans two days, running on December 3-4, 2018. The agenda is below. Has very fast Wi-Fi – an essential requirement for hands-on cloud training! Has car parking – which we are paying for. Is near the Messe (conference centre) and is beside the Kuhwaldstraße tram station and the Frankfurt Main West train station and S-Bahn. 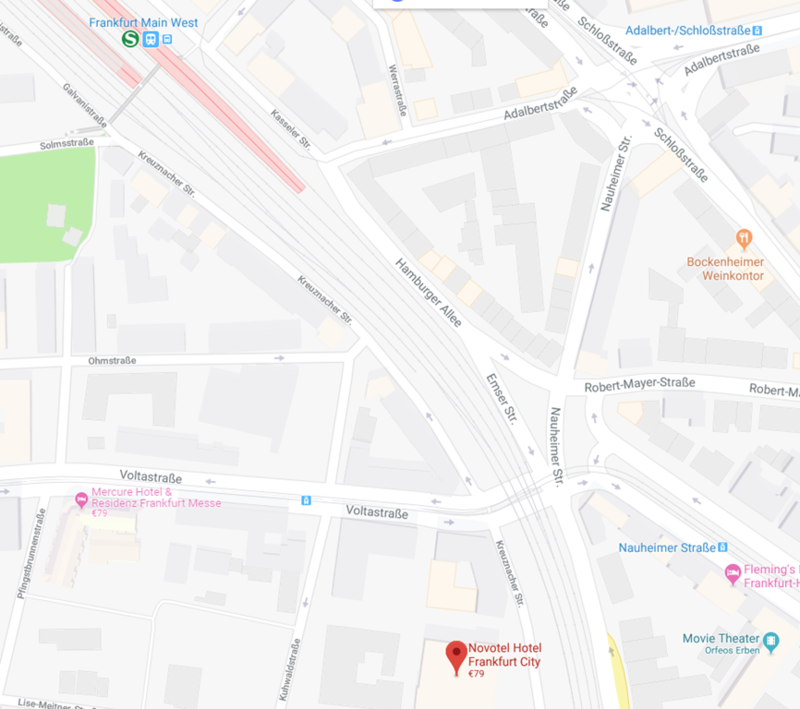 Is just a 25 minute walk or 5 minutes taxi from the Hauptbahnhof (central train station). It was only 15-20 minutes by taxi to/from Frankfurt Airport when we visited the hotel to scout the location. The regular cost for this course is €999 per person. If you are registering more than one person, then the regular price will be €849 per person. A limited number of early bird ticks are on sale for €659 each. The name and contact details (email and phone) for the person attending the course. Name & address of the company paying the course fee. A purchase Order (PO) number, if your company require this for services & purchases. The cost includes tea/coffee and lunch. Please inform us in advance if you have any dietary requirements. Note: Cloud Mechanix is a registered education-only company in the Republic of Ireland and does not charge for or pay for VAT/sales tax. See the event page for Terms and Conditions.